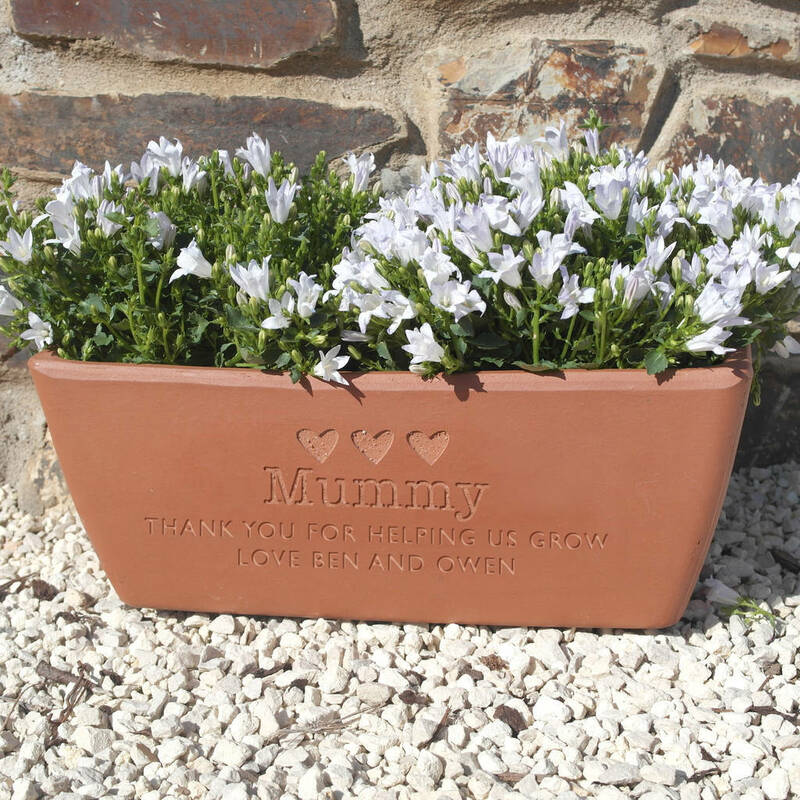 A personalised oval terracotta plant pot engraved with your special message. 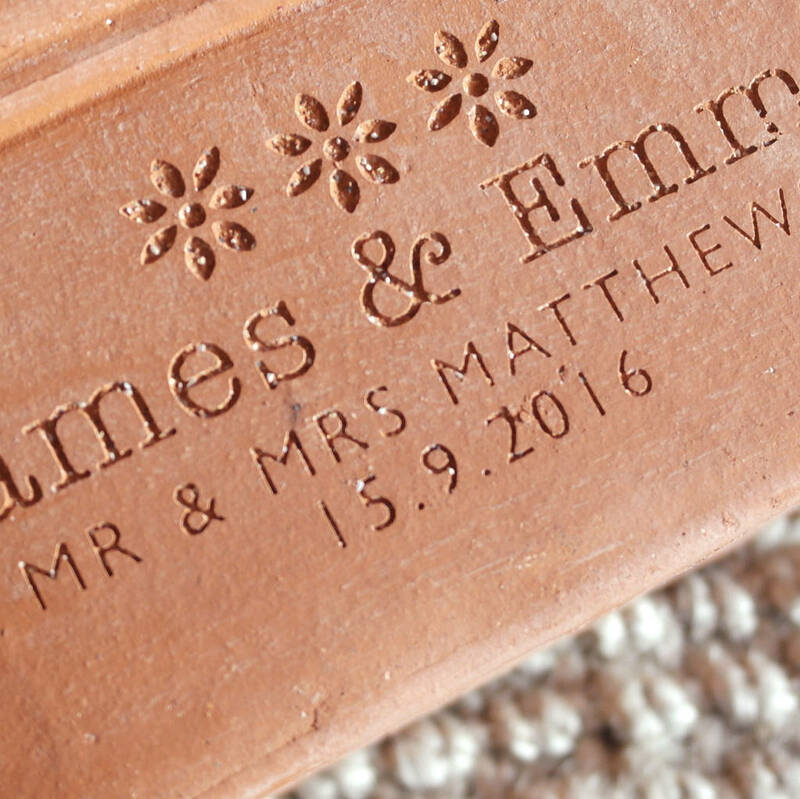 Under 3 little icons of hearts or flowers, we can engrave 3 lines of text. Line 1 is largest - normally the name or main message. Line 2 and 3 are below with more details eg: who the gift is from or a longer message, and a date. 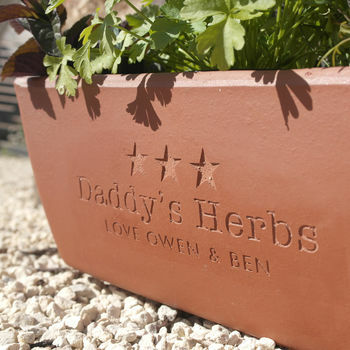 32cm long x 16cm high. Drainage hole in base.